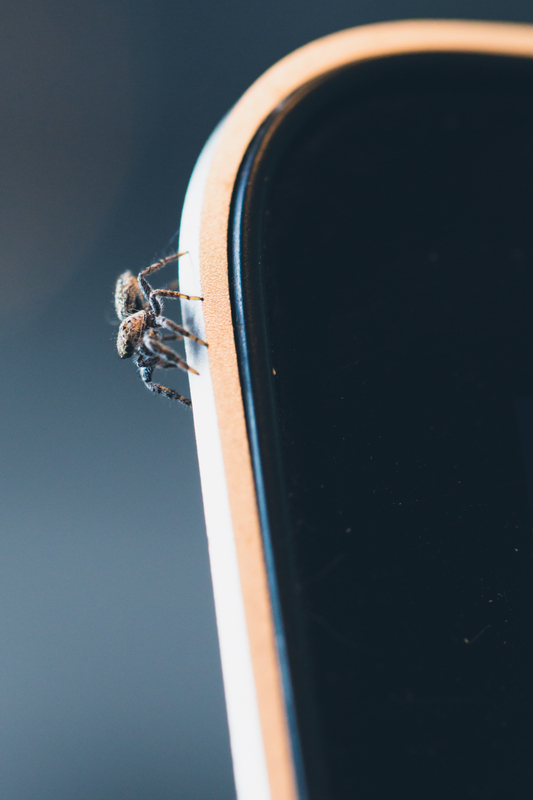 A few weeks ago I was working on editing some pictures from a photo shoot when I noticed a tiny spider crawling around on the side of my laptop. This thing was probably the size of a pencil tip. I had my camera next to me since I just got done uploading the images from it, so I grabbed it and put my macro lens on and started taking some pictures. If you have been following me for a while, you know that I really like macro photography and I have a lot of fun taking pictures of bugs, so I couldn't pass up this opportunity to get some shots of this little guy. He just crawled around the corner of my computer for a while I snapped away. 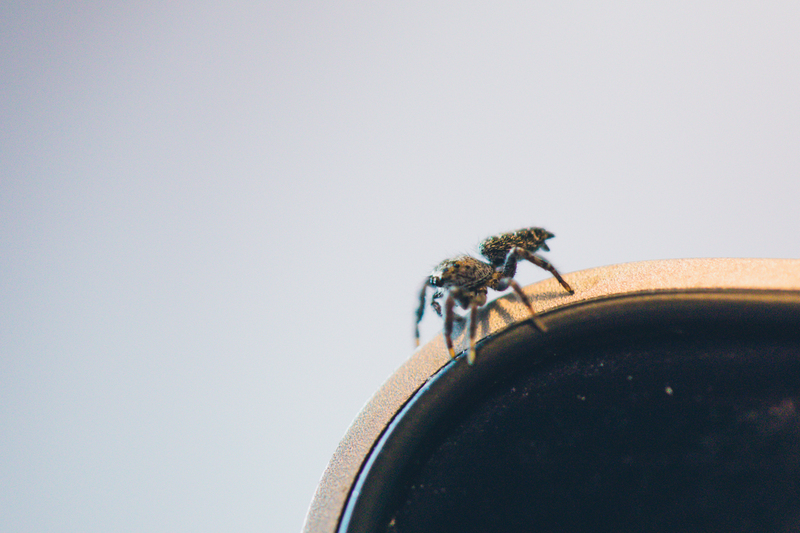 In this picture, I thought he was getting ready to jump off, but he didn't so I helped him and I blew him off my computer onto the floor. As a photographer, sometimes you don't know what to take pictures of and you run out of ideas for shots. You just need to keep your eyes open and always have your camera handy. The coolest thing about macro photography is that it makes the ordinary stuff interesting looking. 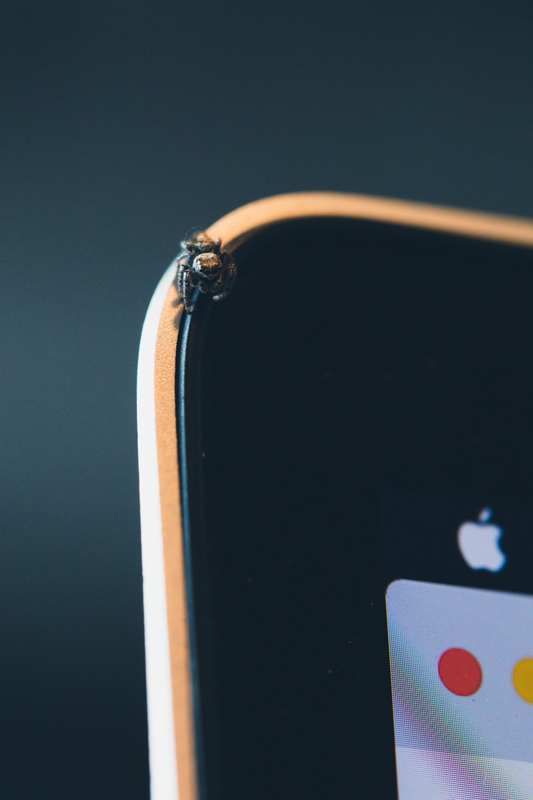 If you have any cool pictures of spiders, share them in the comments. Thanks for stopping by, it is greatly appreciated.